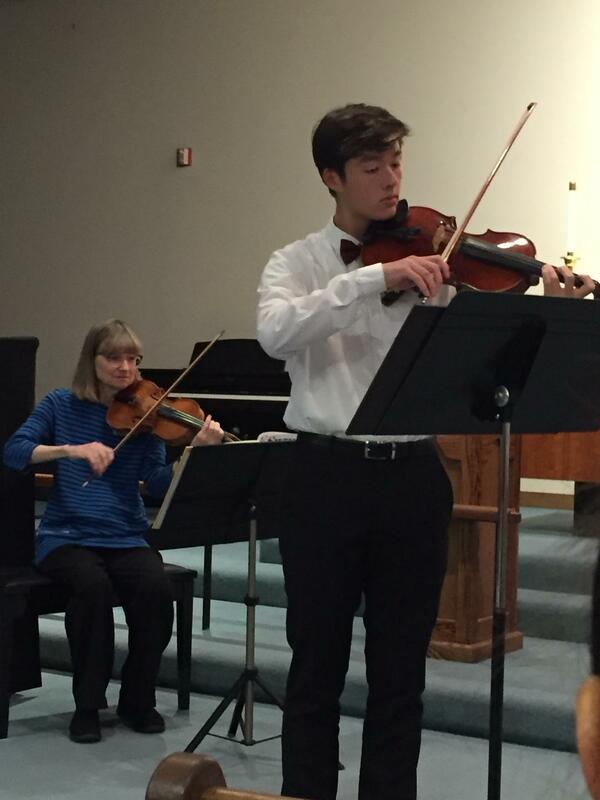 Violinist, Daniel Neufeldt performs at the student recital. 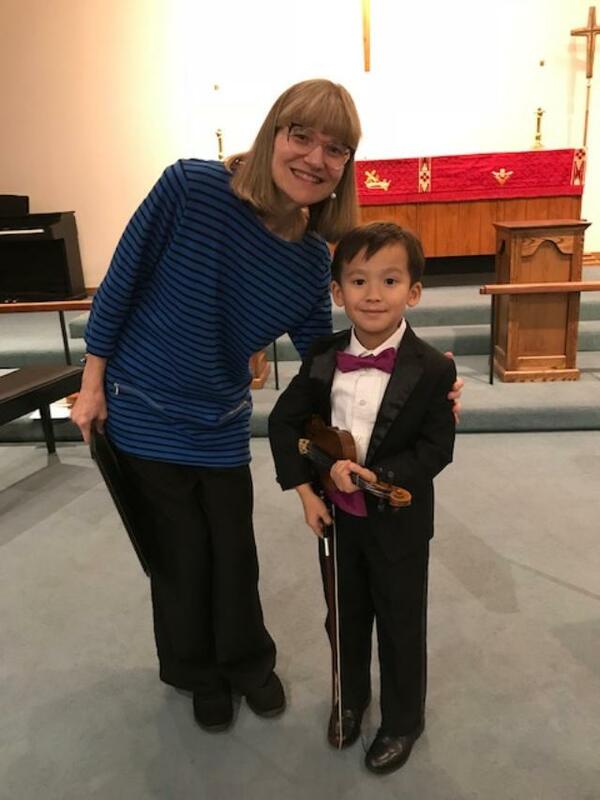 Violinist, Calvin Nguyen smiles after his recital performance. 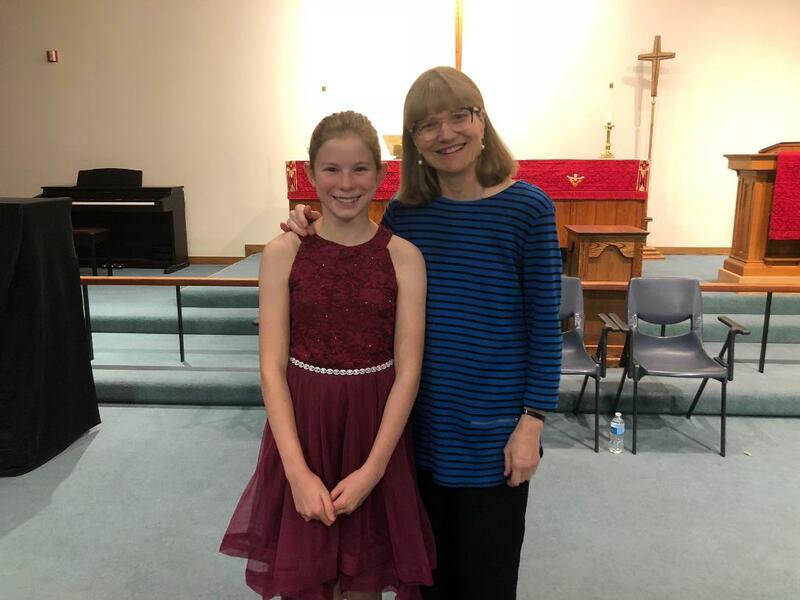 Violinist, Haley van Meurs poses after recital with Jennifer Sokol.